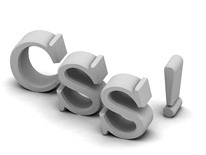 Do Technical Writers Need to Be Web Designers Too? | Writing Assistance, Inc. Writing Assistance, Inc.
Do Technical Writers Need to Be Web Designers Too? It’s really an HR department’s dream to hire a person with more than one skill set – two employees for the price of one. But when you’re ready to hire a technical writer, are there certain skills they should have in order to be most effective? What Should Technical Writers Be Doing? Technical writers are meant to be performing a certain set of tasks, mainly the construction of informational documents, courses and instructional guides. Now, this doesn’t mean their skills can’t branch out to other writing tasks, but since many businesses now have websites to address, it makes sense that if the technical writer is handling copy for the website, that they might be able to handle the website as well. Is this really the case? For many businesses, the website was created by an outside company, who then launched the site and maintains it. This is an arrangement that allows you to keep the web management separate from the daily routine of work – and it’s an arrangement that should stay in place. Having an outside firm is much more efficient than simply putting an hourly employee on the task. However, this doesn’t mean the technical writer should be completely without the skills to understand a website. Having some basic HTML knowledge as well as CSS will help them to better understand how their text will look on a website. When they understand this, it will help them to layout the text in a certain style that will show up best. And in a pinch, they can help the IT department with their text placement on the website. That said, if you find a technical writer with web design skills, HIRE THEM. Hire them quickly. That is a person who can be more valuable to the company than most people who are assigned the writing you need. What are your thoughts? What skills make a technical writer more valuable? Technical Writer: Which Skill Sets are Important?